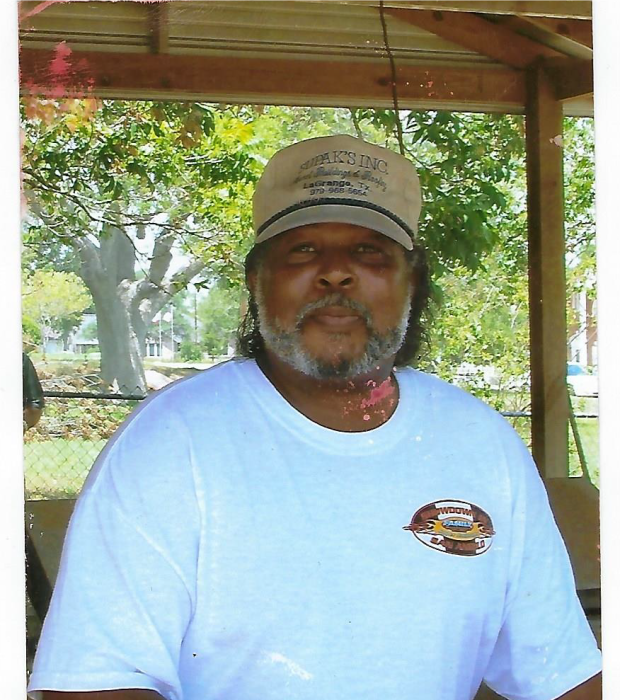 Albert “King Albert” Jarmon passed away peacefully surrounded by family on January 29, 2019. He was born on April 3, 1955 to Joe Mac and Francis Jarmon is Corpus Christi, TX. Albert was well known by many friends and as “King Albert” on the internet world. Albert’s love driving became his career as a long haul truck driver. His handle was “Trebla” when on the road. He retired from driving his big truck after 30+ years. Albert was always the clown and the center of the party when it came to telling funny jokes that would bring tears to your eyes in laughter. Albert is survived by his wife of 9 years Cynthia Jarmon; daughters Toni Anitra Kyondra, Sons Jacquez and Jacquis; 2 sisters Joyce (James) and Barbara (Taft); 4 brothers Raymond “Ray” (Babs), Mikel (Terrisa) Karl and Fredrick (Itasca “Reeci”); 1 grandson, 3 granddaughters, and 2 great grandchildren and his beloved nieces, nephews and a host of other relatives. Albert was preceded in death by his parents and his special niece “GiGi”. Memorial services will be Saturday, February 9th 2019 in Shiner, Texas at the American Legion Hall, 1972 US Hwy 90E, Shiner, Texas at 1:00 p.m. Please make contribution to family to help defray funeral expenses.